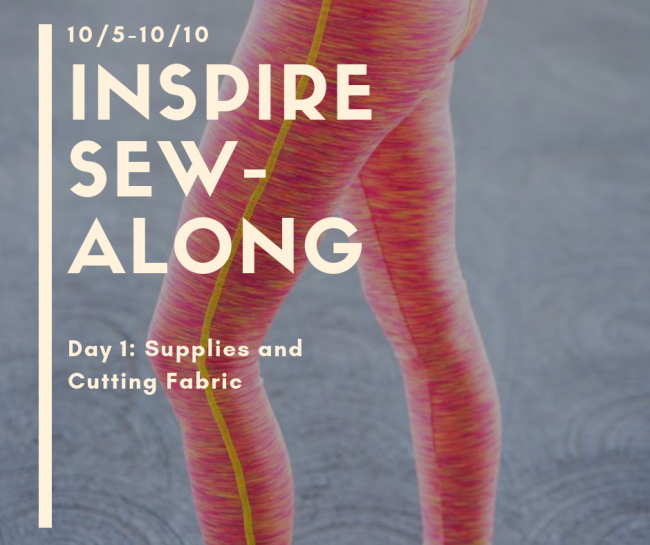 Welcome to the first day of the Greenstyle Inspire Tights Sew-Along! This series of tutorials is part of the “Choose Your Own Adventure” Sew-Along happening for the next week in the Greenstyle Facebook Group. Since the Inspire Tights are pretty much my favorite leggings pattern, I decided it was high time that they be treated to a full video series of their own, and here we are! I will be breaking the pattern steps into daily tasks, with one each day for the next 5 days. You can comment here, with questions, or on the daily posts inside the Facebook Group– I’d love to see your progress each day! If you don’t yet own the pattern, you can buy it here. All the Greenstyle Leggings patterns, from the Super Gs to the Mandex, are on sale for the event, no code needed. If you’ve never downloaded or purchased a Greenstyle pattern, you can find a tutorial on how to do that here. Ready to get started? Check out the video below, which will walk you through the steps of gathering your supplies, evaluating fitting changes, and cutting your fabric. Also referenced in the video is the personal fitting changes I’ve made to this pattern to get my perfect crotch fit (yes, that’s a thing, and I’m not afraid to say it!). Find my notes on that HERE. You can add a back zipper pocket to your Inspires by following my tutorial HERE. I love doing this, as the Inspires don’t come with a pocket that’s big enough to fit my phone, and I need to have it handy to capture those cute (or totally disastrous) toddler moments! I’ve just come across this so I’m a little late! I’m preparing some tights now and would like to do decorative stitching on them. Could you advise me as to what thread you’ve used on yours so I can get it before I start? I used maxilock like in my serger 🙂 Hope that helps! I used maxilock like in my serger Hope that helps!